The Europeana Newspapers Project recently travelled to Ankara – the capital of Turkey and the location of our first Information day: “EU projects’ Experiences and Digitisation”. Hosted by the National Library of Turkey, the Information day aimed to raise awareness of the project, its aims and achievements, and to share best working practices with local stakeholders. Turkish academics, librarians and representatives of the Ministry of Culture and Tourism attending the workshop also learned about the importance of digitising Turkey’s cultural heritage. From the audience engagement and high media coverage of the event, we can say that the Turkish Information day successfully raised awareness of the Europeana Newspapers Project, the importance of digitisation and the benefits of cross-European and cross-sector collaboration in EU-funded projects. 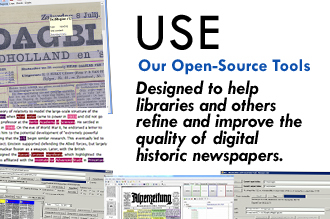 Hans-Jörg Lieder gave an introduction to the project, the aims and the partners that joined forces to aggregate and refine millions of digitised newspaper pages. Susan Reilly spoke about realising the value of Europe’s digitised newspaper heritage. 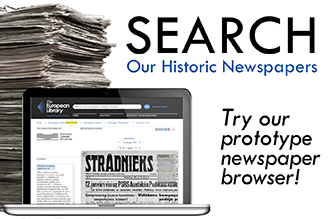 Clemens Neudecker explained how the Europeana Newspapers Project uses refinement technologies to change an image of a historical newspaper into full text where you can search for names, places, dates and topics. Günter Mühlberger explained the data model that will align the various metadata profiles of the many libraries aggregating their newspaper content via The European Library. In the panel discussion, Turkish digitisation experts shared their thoughts and experiences about EU projects. Özhan Yılmaz from the Turkish ICT-PSP Contact Point spoke about Digital Content, Digital Library and Information Society Strategy. He pointed out that eBooks would soon surpass printed books in numbers, according to recent research, and libraries should therefore transform themselves to adapt to this new world. The European Commission aims to have 30 million objects of all types – including not only books but also paintings, photographs and multimedia material – digitised by 2015 and Europe’s entire cultural heritage digitised by 2025. 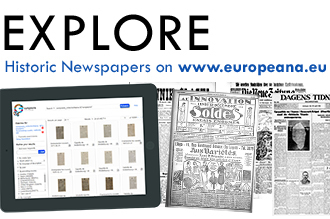 This wealth of content could be presented to end users via the Europeana portal, Yılmaz said, with content being aggregated by over 40 EU-funded projects across Europe including, of course, Europeana Newspapers. Finally, Yılmaz noted that libraries would play a critical role in the Information Society, and that their contribution was needed in order to finalise the Information Society Strategy 2014-2020. Prof. Dr. Bülent Yilmaz from HacettepeUniversity mentioned digitisation activities in Turkey, including the challenges they face and the European Projects in which his university participates. He said the trends in Turkey were similar to other countries. 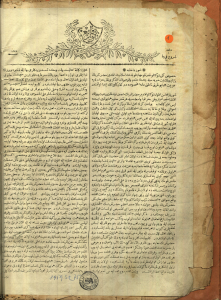 In terms of specific activities, Yilmaz noted that the National Library of Turkey digitises all its manuscripts and Ottoman newspapers and journals. The National Archive Institute, libraries and museums also have a number of ongoing digitisation projects. Turkey possesses a significant collection of manuscripts but Yilmaz said that there was still some scepticism towards digitisation activities. This made it imperative for universities and libraries to create awareness about the importance of digitisation. Prof. Yilmaz also stressed the need for a national inventory of digitised content to prevent duplications, and suggested the National Library of Turkey take the lead in coordinating digitisation activities. 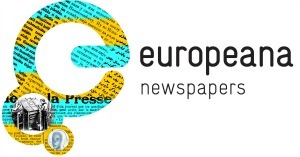 “Europeana Newspapers Project is one of the biggest digitisation projects in Europe,” said Prof. Yilmaz. 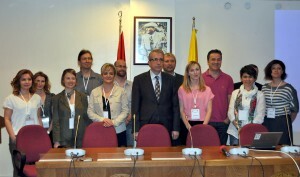 He stressed the importance of raising awareness of successful projects such as Europeana Newspapers in Turkey. Moreover he highlighted the need for setting national digitisation standards and a partnership between National Library and Ministry of Development to realise this initiative. Hacettepe University was involved in the AccessIT project, which saw the National Library of Turkey provide its digitised manuscripts for the very first time. Yilmaz thanked the library for its collaboration. Hakan Koray Özluk and Hasan Bahadır Onat presented the General Directorate’s view on Libraries and Publications. INDICATE (International Network for a Digital Cultural Heritage e-Infrastructure) project is the first EU project that involves the Ministry of Culture & Tourism. It is a European Union FP7 project which aims to establish a network of common interest made up of experts and researchers in the field of e-infrastructures and digital cultural heritage at a Euro-Mediterranean level. Network participants can share experiences, promote standards and guidelines, and work on common best practices and policies. “We had a great experience with this project and have an opportunity for future cooperation,” said Onat. In the Question and Answer session, participants stressed the importance of the dissemination of information of European projects. The Ministry of Culture and Tourism was encouraged to investigate solutions for the OCR-ing of Ottoman language documents. This entry was posted in News and tagged infomation day, National Library of Turkey by eurnews. Bookmark the permalink.